In a marathon surgery procedure lasting almost 15 hours, Kochi-based Amrita Institute of Medical Sciences and Research Centre successfully performed twin-hand transplant on an ex-Army captain from Afghanistan, who had lost both his hands in a de-mining operation. It could be the first case of twin-hand transplant in Afghanistan. Four months back, another twin-hand transplant was done at the hospital, which was claimed as the first such transplant in India. 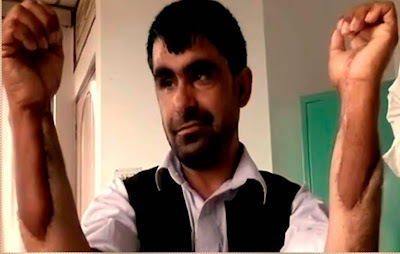 The former military captain Abdul Rahim, 30, had lost both hands while diffusing mines in the war-torn country three years ago. The transplant was carried out in a marathon surgical feat lasting for almost 15 hours with more than 20 surgeons and eight anaesthetics participating in the procedure. Prof Subramania Iyer, head of the plastic surgery department, said each hand required connecting two bones, two arteries, four veins and 14 tendons. The donor was a 54-year-old brain dead accident victim from Kerala. “Rahim has regained considerable amount of function of both his hands using them for day-to-day activities. He will need intensive physiotherapy for another 9 to 10 months, for which he will be done in Kochi," said Iyer. We can’t even begin to imagine how we would be able to function and carry out our daily chores without our hands. We are amazed at the level of advancement that medical science has reached today. It is almost surreal; it is now actually possible for a person who has lost his hands to get a new pair of human hands. We congratulate the hospital and the medical team for making this advancement in India and achieving this medical feat. And more than that, we appreciate them for helping a person regain his lost confidence and live his life normally, without any hindrances.